Description: Come play with the kitty! Choose one from a variety of colored kitties. First you'll have to put them sleep and give them love. After that, take care of the little kitty until it's grown. Least but not the last, make sure that the kitty is always happy, healthy, fed and she had enough sleep. 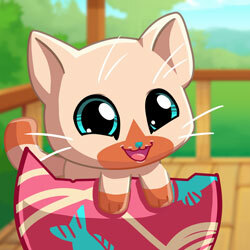 Discover this new awesome virtual pets game!